Mastercard (MA) is set to report its fourth-quarter earnings results on Thursday before the market opens. The results will be driven by growth in switched transactions and gross dollar volume. The foreign exchange, rebates, and incentives could remain as headwinds for the bottom line. Analysts expect the company to post earnings of $1.53 per share on revenue of $3.81 billion for the fourth quarter. In comparison, during the previous year quarter, the company reported a profit of $1.14 per share on revenue of $3.31 billion. Majority of the analysts recommended a “strong buy” or “buy” rating while expecting the stock to reach $230.68 in the next 52 weeks. The company’s results will be benefited by the double-digit growth in switched transactions, cross-border volumes, and gross dollar volume. The investments in digital technology and broadening of co-branding partner network will have a positive impact on operations. The bottom line performance is likely to be weighed down by rebates and incentives as well as the strengthening of the dollar. 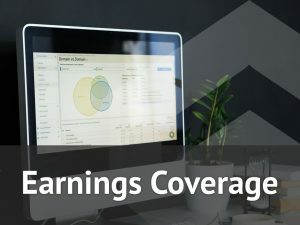 The company’s Service business could continue delivering strong earnings and revenue, which is backed by higher utilization of its service offerings. Despite remaining largely unaffected by tariff-induced trade disruptions and political uncertainties, the payment industry experienced hectic activity during the year 2018. This was due to the improving economic conditions and positive consumer sentiment. In the third quarter, the company posted a 33% jump in earnings helped by higher revenue and the management of costs and expenses. The top line increased by 15% on growth in gross dollar volume, switched transactions and cross-border volumes. The company benefited from its new partnerships and business wins as well as its differentiated service offerings. For the fourth quarter, the company’s bottom line is likely to be positively impacted by the economy that began showing signs of stabilization and improvement. The consumer spending patterns are greatly depended on the high unemployment rate and this remains a wildcard for Mastercard. Shares of Mastercard opened higher while turning lower in the early trade on Tuesday and is trading in the red territory. The stock has risen over 17% in the past year and over 7% in the past month.